How to stop in the perfect stack. Stacking a show dog should take no longer than three or four seconds but for many, it can take up to 15 or 30 seconds or more. In the second part of this three part series I look at why some dogs stop in a perfect stack and others don’t. Remember the Fonz? Fonzie was the cool one in the TV sitcom ‘Happy Days’ . In one of his signature moves, Fonzie would famously pull out his comb to check his hair in the mirror anticipating that he’d need to adjust his slicked back quiff only to find, as always, it was perfect. Fonzie would then step back, open up his arms and, with palms upturned, exclaim a slow and drawn out “hey” while marveling at his own perfection. This is why I call that moment when a dog comes to a halt in front of the judge or line up, in the optimum stance for their breed, a ‘Fonzie’. We’ve all seen that rare moment in the ring when a dog naturally does this and it’s nothing short of magic. So why do some dogs do this and others don’t? And, more importantly, how can you get your dog to their own Fonze. In many cases, the reason why a dog isn’t coming to a stop in the perfect stack is because the handler has applied excessive use of the lead when stopping. This unbalances the dog and means the dog isn’t able to maintain its own equilibrium. This then requires you to make adjustments in order to achieve the optimum stance for your breed. Often, your dog will contest these corrections in an attempt to regain their own balance. Meanwhile, the judge is looking on and…….well, they’re judging you and your dogs’ performance. The solution? If you allow your dog to come to a stop within its’ own time by gradually slowing down and not applying excessive force through the lead, they will be much better placed to balance themselves and naturally stop in a better stack. You may still need to make some adjustment, but these will not only be minor but much easier and more effective because you’ll have you dogs co-operation rather than any defiance caused by you messing up their own balance. Does your dog do a ‘Fonzie’ or are the more ‘Richie Cunningham’? Have you seen a memorable Fonzie? Do you have any tips for achieving a Fonzie? I’d love to hear your thoughts. 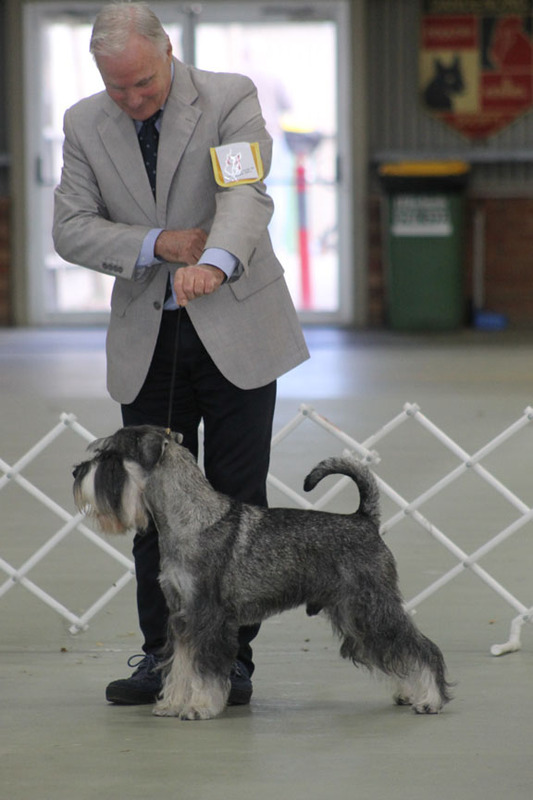 Hi Peter, I enjoyed your article re ‘stacking dogs’ and most of my time around the show rings I see the latter!!! (The Richie Cunningham) I believe. Now you have brought this to the readers attention, maybe I will notice more ‘FONZIE’S out there soon? Pamela S.